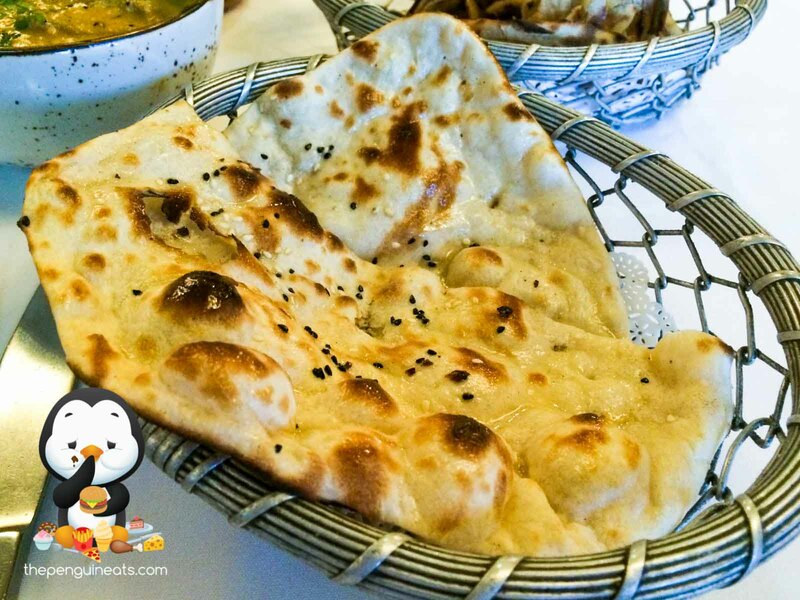 Bhoj is a restaurant that has been operated by the same owner and family for over 20 years, having started in Templestowe and moved to its current location in the heart of the Docklands for more than 12. 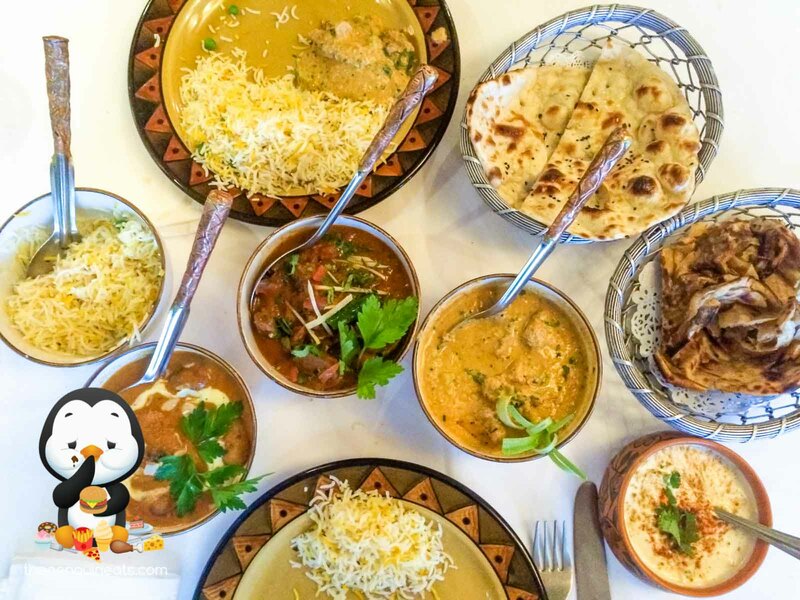 They provide traditional Indian cuisine that seems a little bit unfamiliar, and while the classic Butter Chicken and favourites are available, they offer an extensive range of other entirely new and entirely traditional dishes. 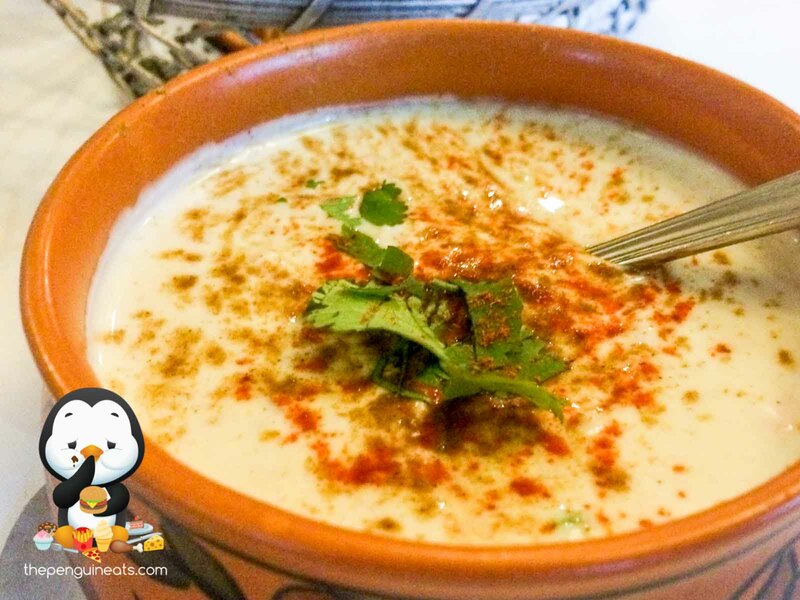 We were offered a large range of dishes that aimed to showcase the full range of flavours Bhoj had to offer. We started off with a small appetizer of Papadums served with fresh sliced red onion and a trio of mint, tamarind and chilli sauces. 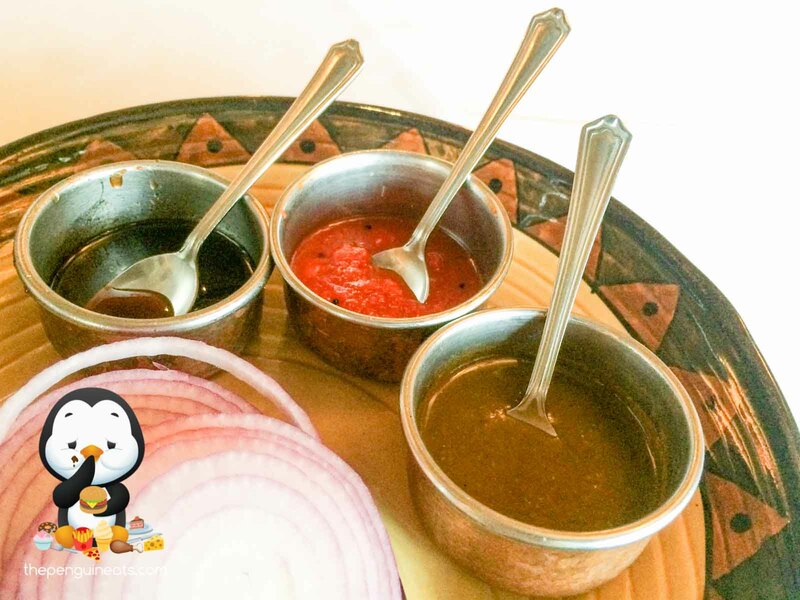 The Papadums were delightfully crisp, light and well-seasoned, which formed a delightful base with which to sample the three different sauces, among of which the chilli really stood out as a flavourful and really punchy option. 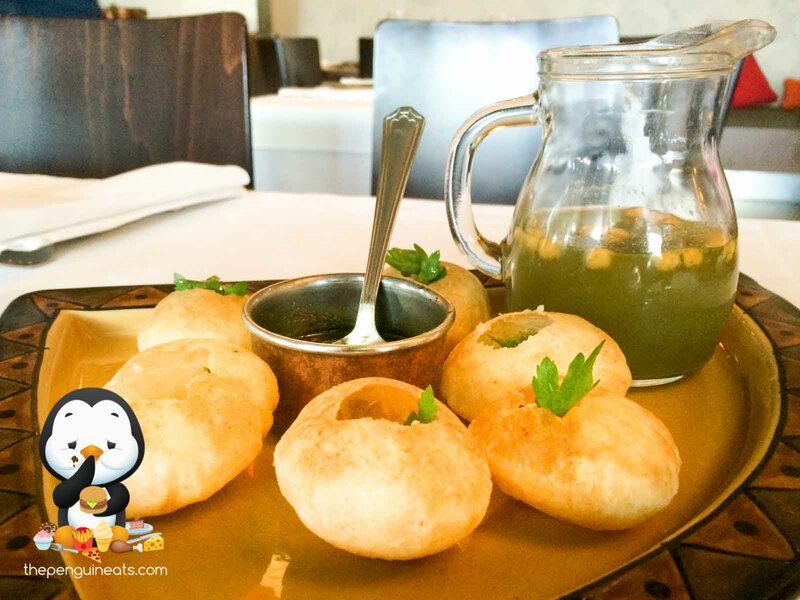 This fed directly into the first of the starters which was Pani Puri, which is already one of our favourites, requiring the pouring of a spicy and tangy water into a fried crisp ball with an assortment of herbs and vegetables then eaten as a whole. The cool spiced water and the fried dough really work with one another to create a crisp explosion of flavour, which is only made better by the entertainment of such an interactive dish. This was followed by Sounth Palak Papdi which are essentially ‘Indian Nachos’ consisting of flour wafers and spinach crisps topped with lentil dumplings yogurt and different chutneys. This was an entirely new dish for us and we weren’t expecting it to be a cold dish, but the balance between the different warm spices and the cool yogurt paired with the delicate crispness of the flour wafers produced flavourful mouthfuls. These were followed by a couple of meat items from their menu, specifically one from their tandoor and deep fried chicken. 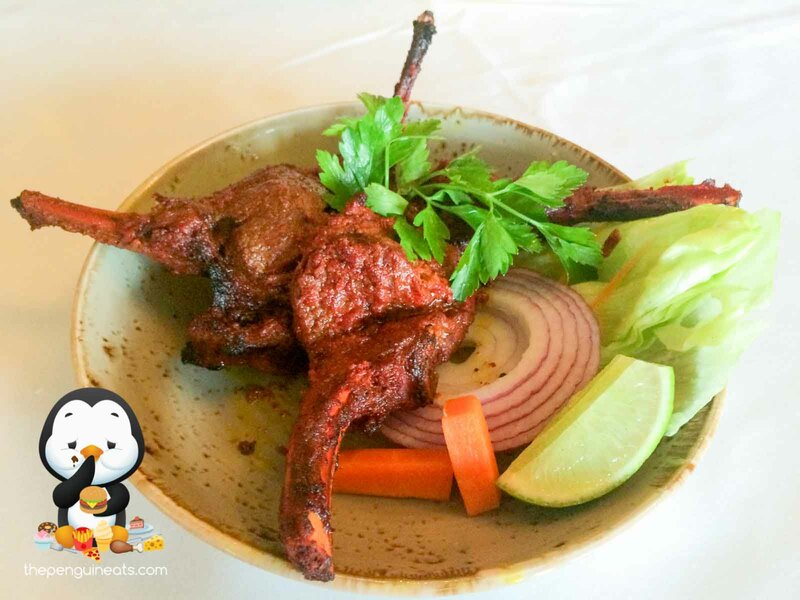 The Hoshiarpuri Champaan consisted of spicy lamb cutlets marinated in malt vinegar, cumin powder and medium spices, barbecued and finished with a tangy sauce, which, given my personal lack of spice tolerance, really packed a punch! But nevertheless, it showcased that spicy food can be really flavourfully complex, with the tanginess of the sauce cutting through the spice and really enhancing the taste of the lamb. This led into the last of the ‘starters’ which really was the highlight of the meal, aptly named Gunpower Chicken, a deep-fried chicken winglet dish coated with an Indian five spice ‘gunpowder’ batter. In the best possible way, they were like if Wicked Wings got over its drinking and heroin habit, got a PhD and laid itself out on a plate. 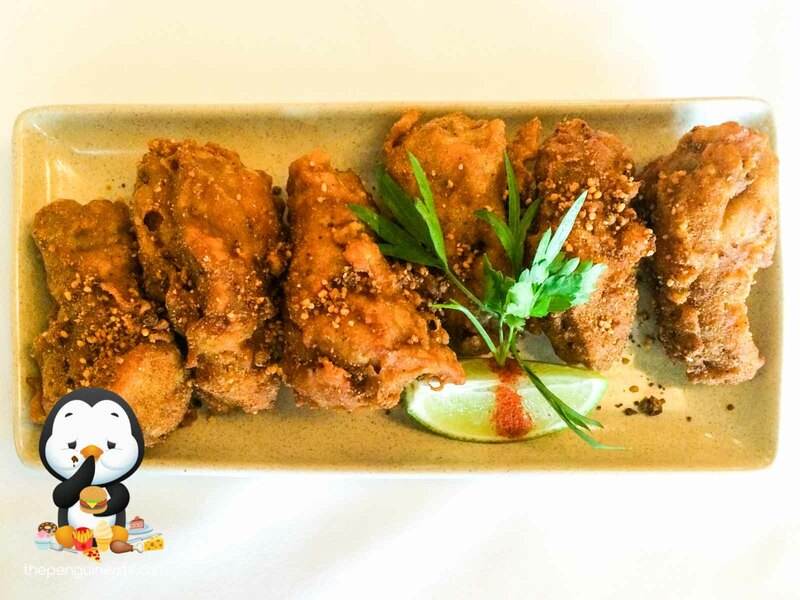 The chicken was tender, moist and flavourful all the way through, which was all covered in the most amazing spicy batter, which was crisp like glass and we later found out that the secret to the amazing batter was the addition of lentils. After already consuming quite a lot of food, the mains came out together, which was a smorgasbord of three curries, two types of tandoori breads, rice and a yogurt side. We were given two non-vegetarian curries and one vegetarian one, which consisted respectively of Chicken Shahjani (boneless chicken in a mild almond curry), Beef Muglai Korma (traditional mild curry with cream and nuts) and Malai Paneer Kofta (deep fried cottage cheese and potato balls stuffed with nuts with an apricot-based gravy). The Shahjani had perfectly cooked chicken with a really rich creamy almond sauce that really flavoured with chicken and the sides really well, while the Beef Muglai Korma again had perfectly cooked cubes of protein with a dark and well-balanced sauce, that is both creamy and yet little bits of ginger and parsley cut through the delicious beefiness beautifully. 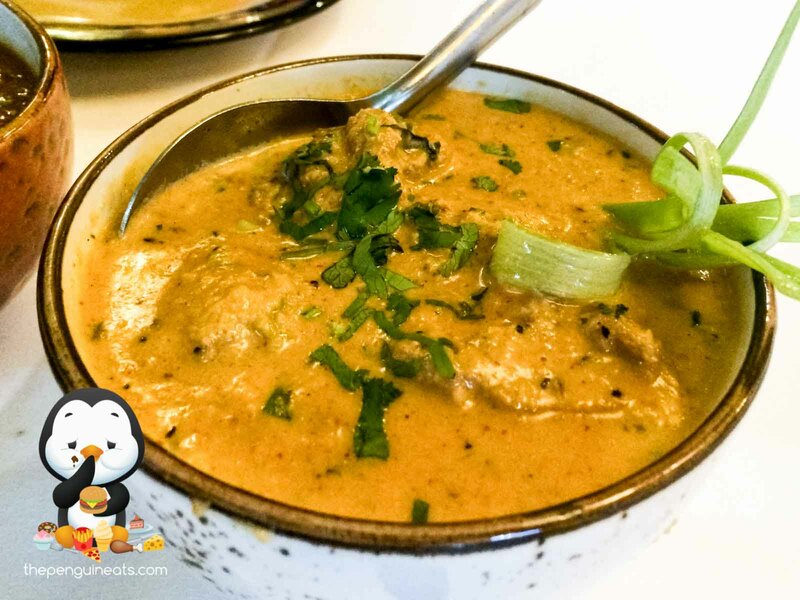 However, given my bias towards potatoes, and with no input from us, we were served the fantastic Malai Paneer Kofta, which had such adorably soft little balls coated in a rich sauce that hit that perfect balance between sweet and savoury. The saffron rice was cooked really well as was the roti, but the flaky paratha was our go-to side to soak up all the delicious curries. 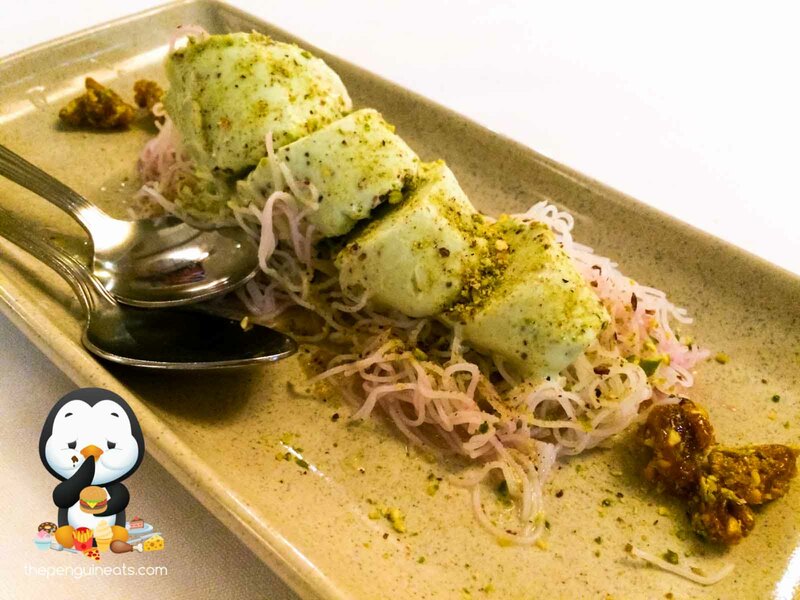 We ended out evening with a Pistachio Kulfi with Falooda, and while we had had a traditional Indian Kulfi before, we had never been served vermicelli noodles with it. The Kulfi was gorgeously dense with a deep pistachio flavour, which the Falloda just gave a bit of textual vibrance, providing a fantastic end to our night. The lassis, especially the mango one, were well made, but they were not anything particularly special albeit with a rim covered in desiccated coconut. Perhaps the garnishes applied to the surface of the would add a bit more unique flavour, but these were impossible to consume through a straw. 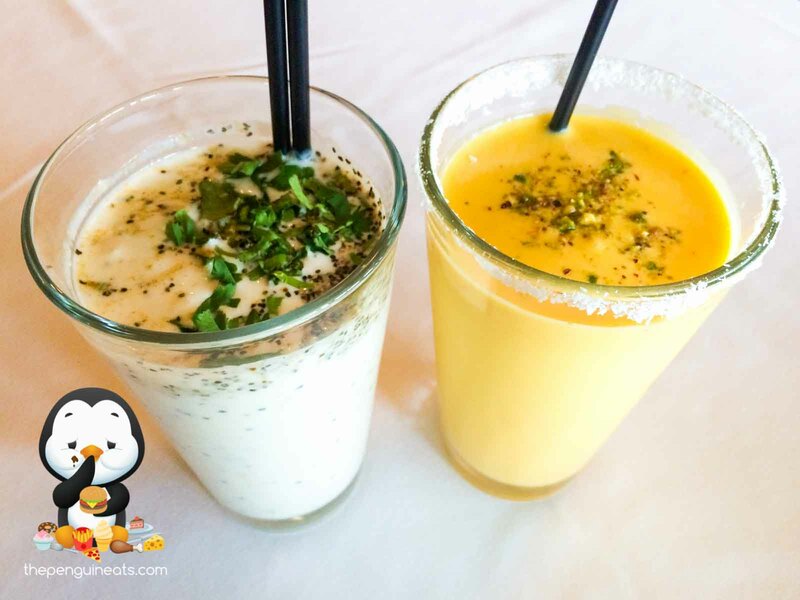 However, the salted lassi was much more unique and was a lovely alternative to the sweet lassi to cool the heat from the dishes. Overall we had a fantastically filling and varies meal, from uniquely Indian street food, to tandoori meat and traditional mains. The staff were very accommodating and the environment was very well appointed in a relaxed atmosphere that really allowed the food to shine through. The large range of dishes means that there are always new things to try, and all of them are well-made and flavourful. We will definitely be back and everyone should, if even just to get another serving of the Gunpowder Chicken. I would like to thank Chef Rajesh Mehta and his son Ankit for their hospitality and for the opportunity to sample such a widely varying selection of food.